The deer tick season isn't quite over with either, I had 2 of them on me today. There was an Eastern Comma flying around by my garage door late this morning as I came home from church. The sun was shining and it was around 50 degrees. Sunny, warm and a bit breezy. 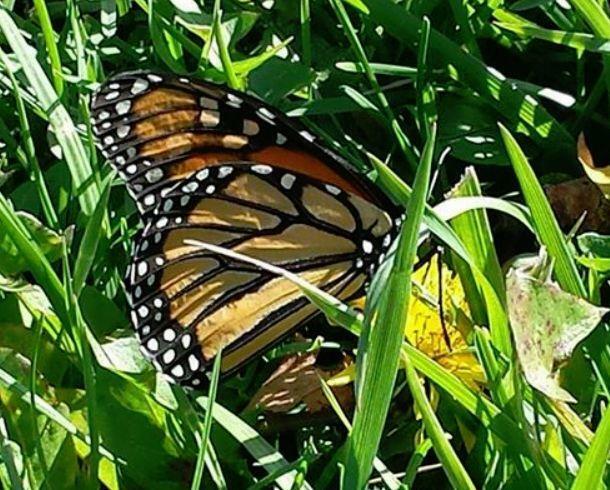 Around 1pm saw 2 fresh looking monarchs flying about. Not much blooming for them to nectar on. I wonder if they'll make it to Mexico? Sunny, warm and 74 degrees. It was a glorious day to be outside! Sunny, windy and 74 degrees. 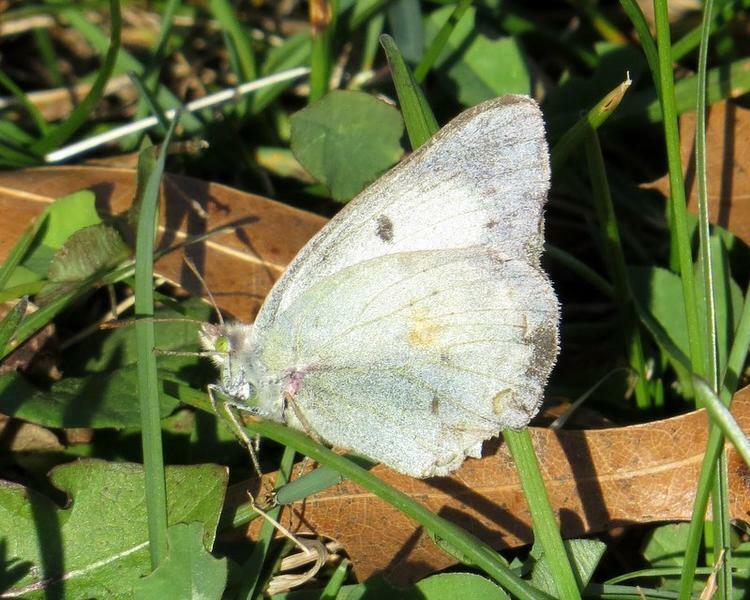 Saw a Cabbage White in my Dad's front yard. 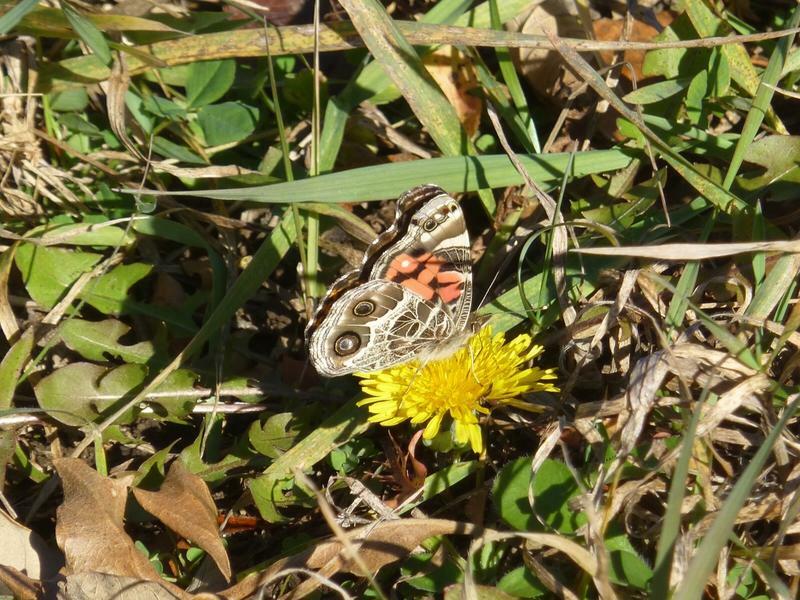 It was warm and sunny at lunch time when I found a single butterfly enjoying a bed of blooming flowers in front of the museum. Sunny morning in the 60's. The dandelions were the big attraction. Saw a few butterflies on this sunny and exceptionally warm morning while here to see the Western Kingbird. 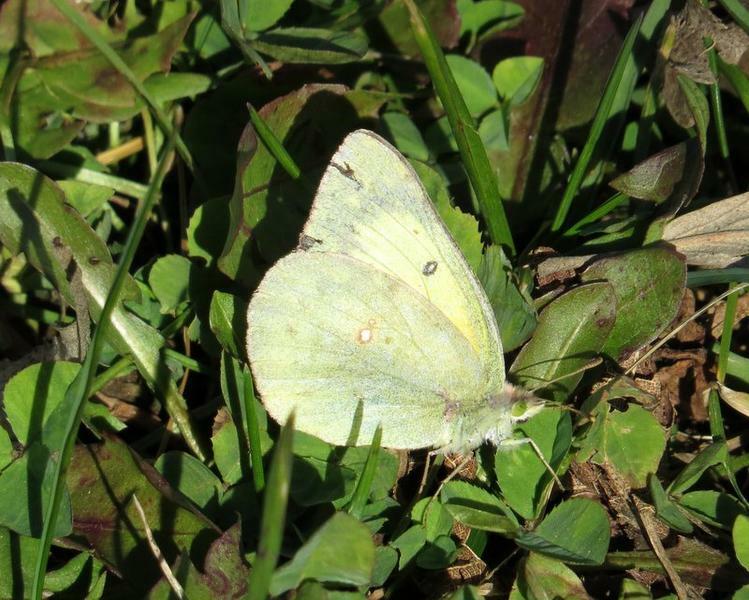 Saw a sulphur butterfly in the exact same spot as I did yesterday. Wondering if it's the same one. 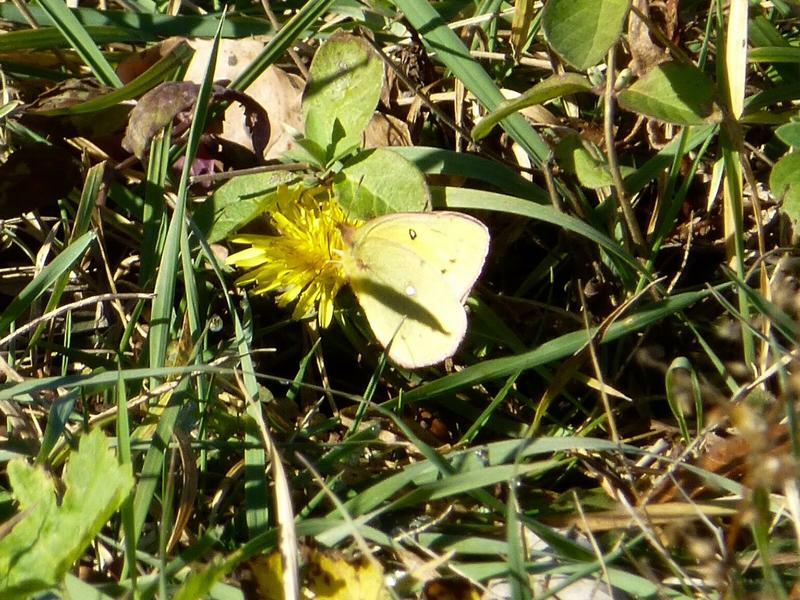 I saw two sulphur butterflies again today. Another beautiful day. The same Monarch as yesterday, nectaring on Abelia again this morning. Sunny, very windy and 73 degrees. Might be the last one. We've had several freezes. 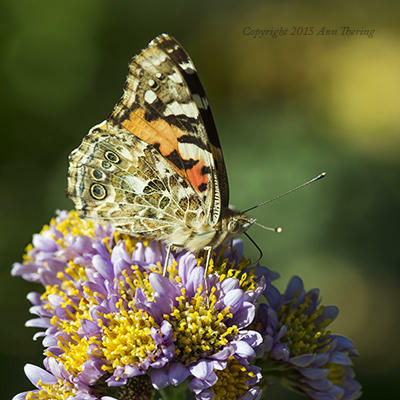 Will the 2015 butterfly season ever end? Seen in grazed pasture, with only a few yarrow in bloom. Guess temperature was in the mid-50s. Sunny, windy and 53 degrees. It was 54 degrees when I saw this sulphur. Dandelions were blooming, but it didn't pay any attention to them. 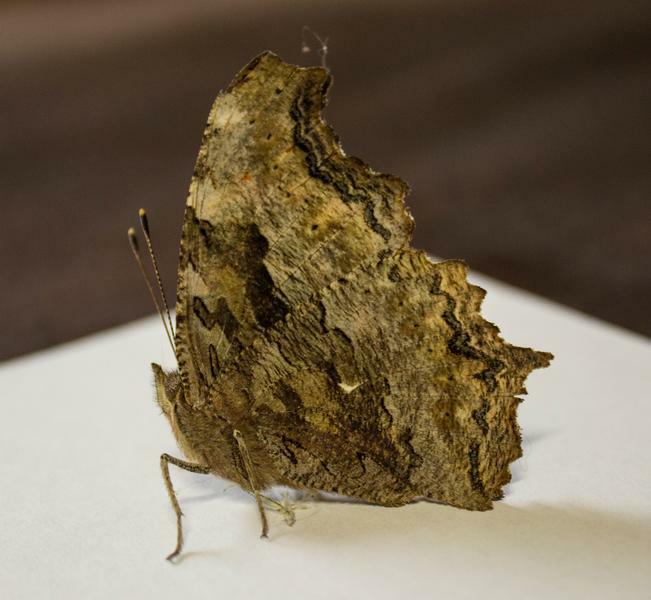 There was a hard frost last night, there can't be too many butterflies left. 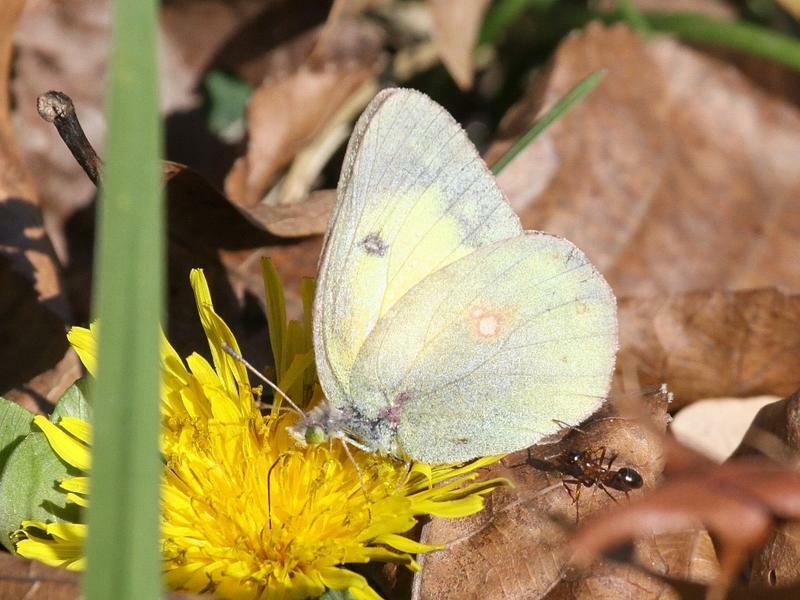 A Clouded sulphur was flying around on this nice sunny day. A little chillier today. 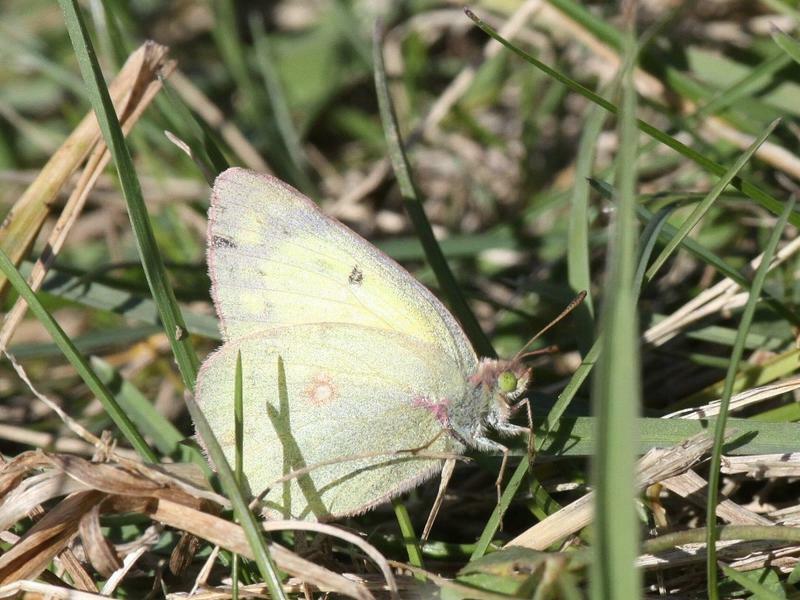 However, a couple Clouded Sulphurs were still flying and nectaring on dandelions near a small pond. 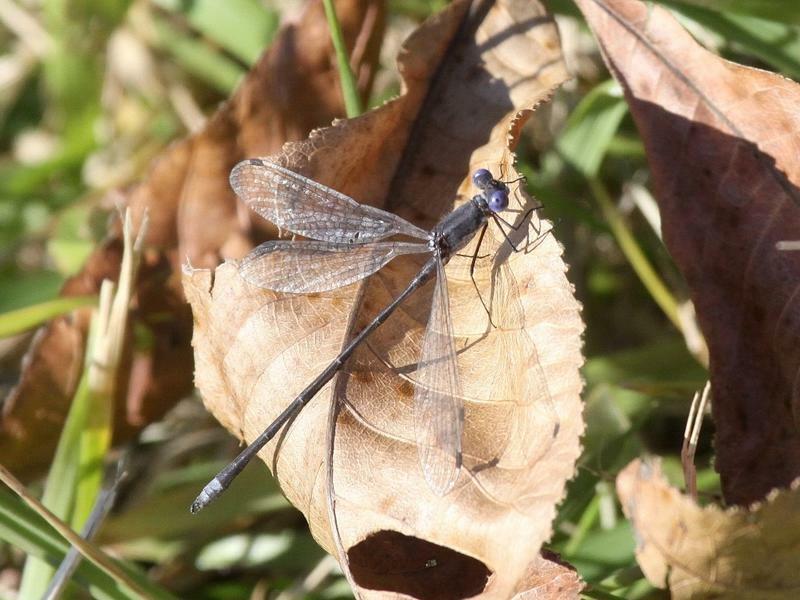 The pond still had Autumn Meadowhawks and 1 Spotted Spreadwing flying as well. 61 degrees, light breeze, partly cloudy skies. 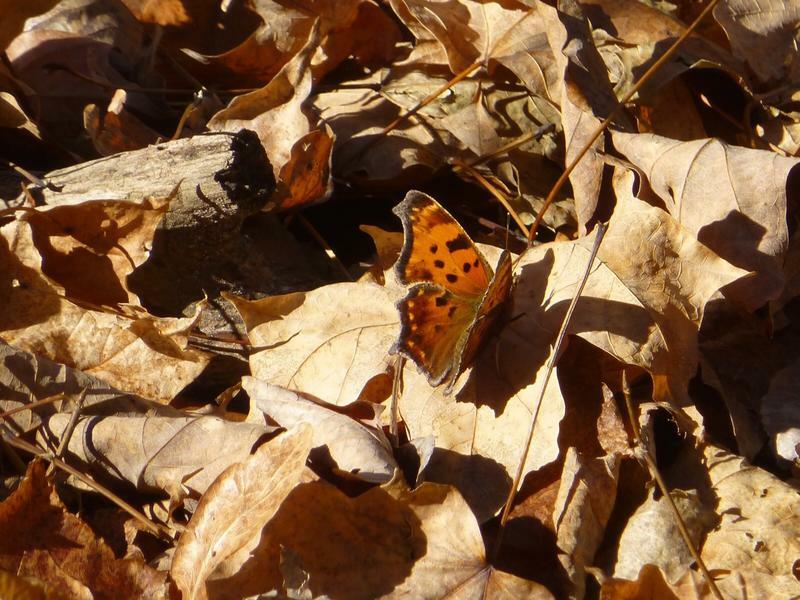 I was raking leaves in the backyard when a Mourning Cloak flew up out of the pile and into the woods. 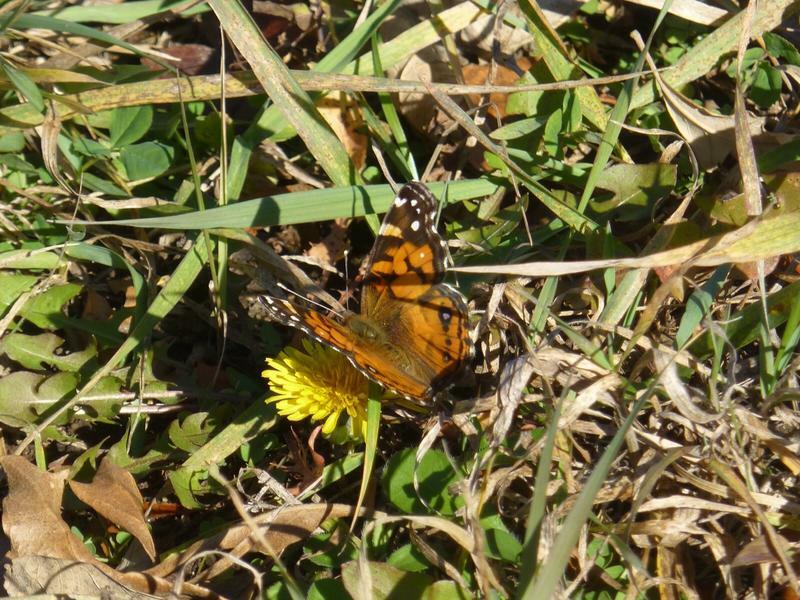 Mourning Cloaks are usually the first butterflies I see in the spring, and the last ones I see in the fall. I also recently filmed one checking out a crevice in our rock wall--probably as a potential hibernation location. Mostly sunny, breezy and 58 degrees. 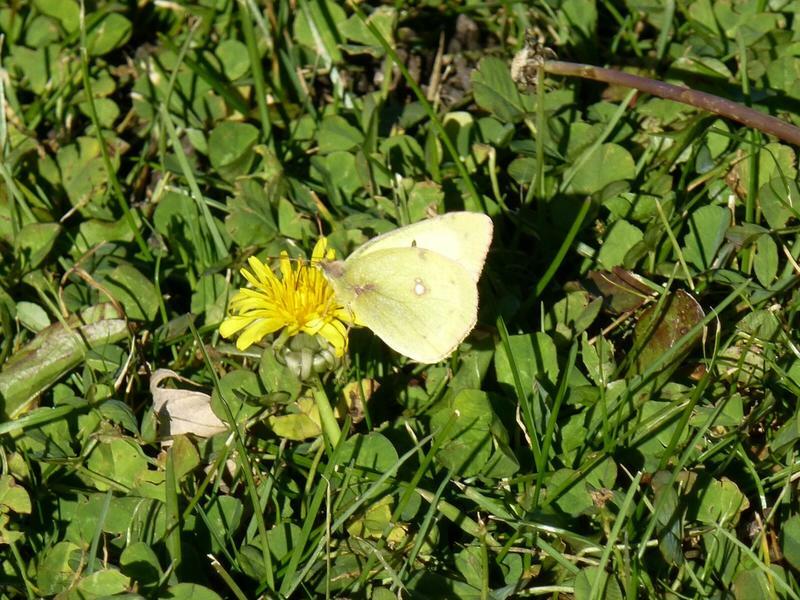 One lone sulphur butterfly was feeding from a blooming dandelion just after noon when the sun was out and the temperature was in the upper 50's. 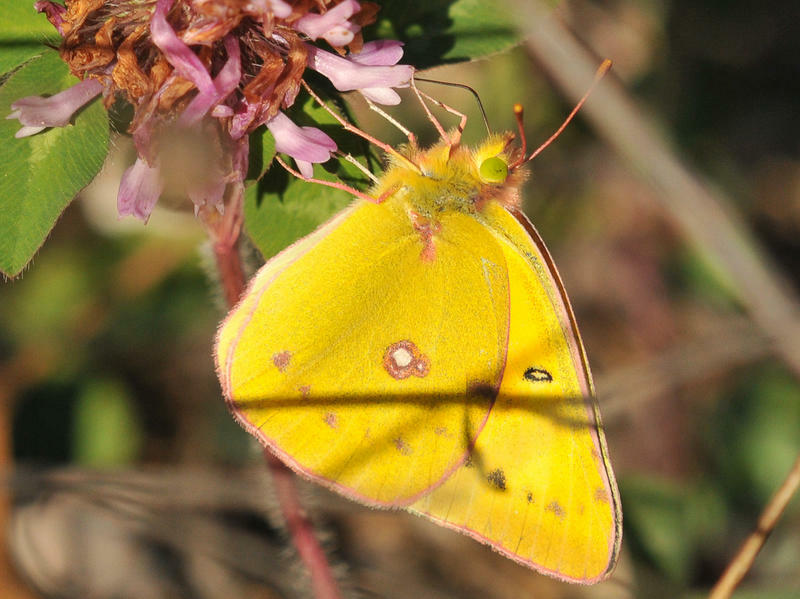 I saw Clouded Sulphurs in 3 different locations. 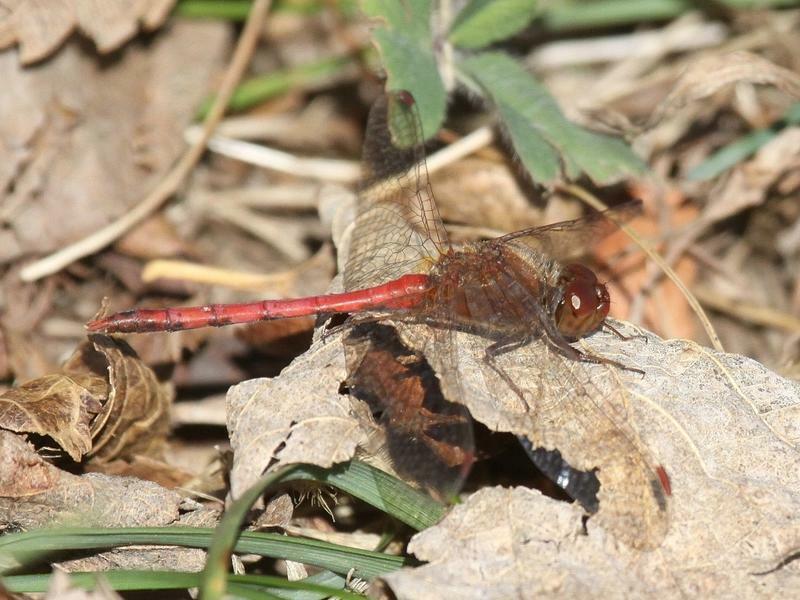 Also had Autumn Meadowhawks and a Common Green Darner. Sunny. Mid 50's before noon. 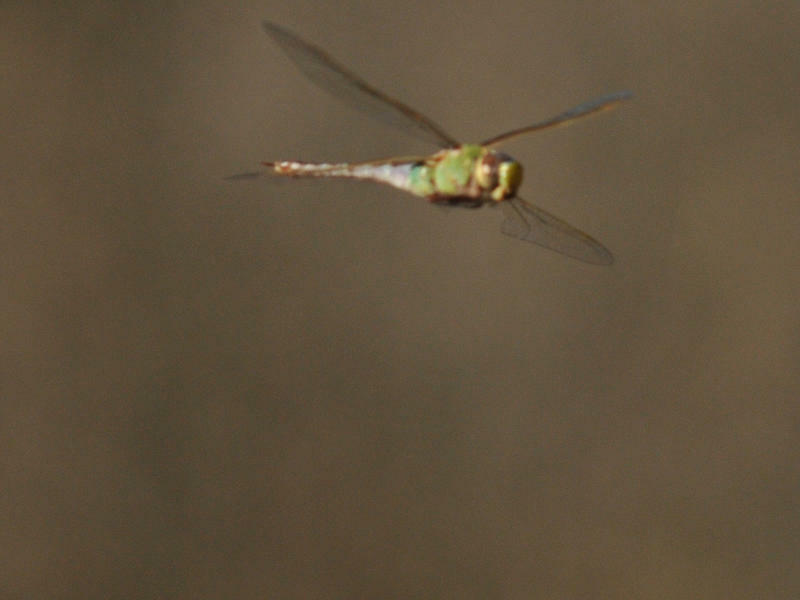 I also saw 2 Common Green Darners! Mostly sunny and 58 degrees.